I haven’t been to Rock Lake in Algonquin Park (in Ontario) for MANY years now, so when my parents asked if I wanted to come along for a week around Labour Day, I saw my schedule was clear and jumped at the chance. It was nice to relax (no cell service) and have a bit more summer, as it was raining and chilly in Vancouver when I left. 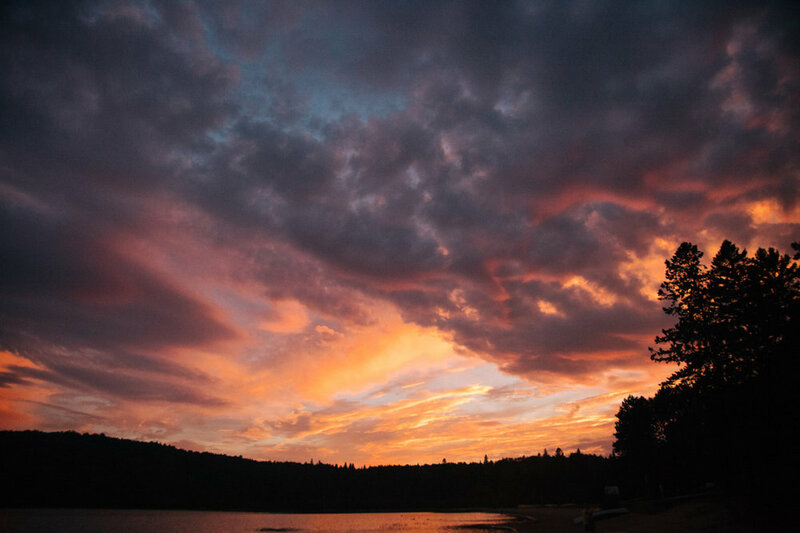 We were treated to spectacular sunsets almost every night, I went kayaking, hiking, boating around the lake, fishing, and got to hang with Dexter. I took that photo of him on the same dog beach I did when he was a puppy exactly 6 years ago. I need to dig that one up and put them side by side. He’s still adorable. Been working on a charity calendar project for a while now, called “Dudes with Beards and Boards and Dogs”…we finally have sent it to print and it’s available for pre-order online! Tough job to volunteer for right? 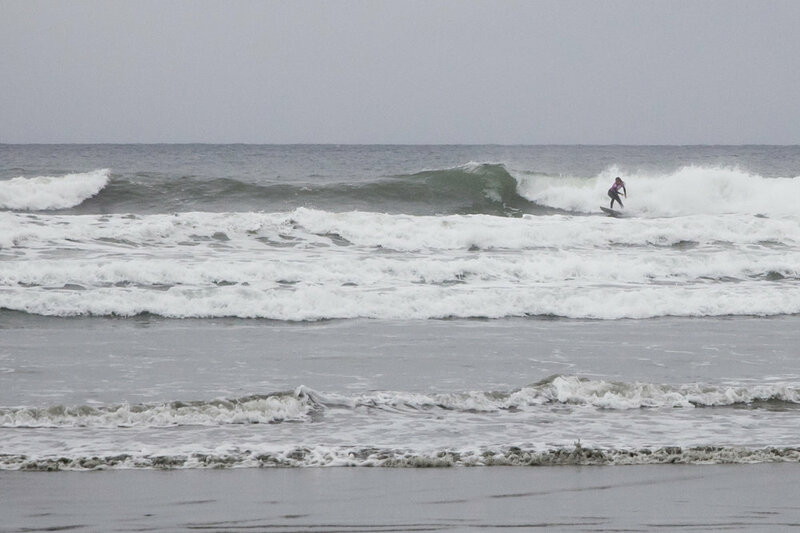 Just posted again on VIA about Tofino…this regarding the Queen Of The Peak all-female surfing competition! I really wish I had an insane lens like John Lehmann of the Globe and Mail did, but I made do by taking photos of the action on the shore. Including a lot of dogs being adorable. There was even a 16-and-under comp called the Princess Of The Peak, which made me worry about failing miserable at surfing the next day (…pretty much what happened). If I haven’t said it already, or you haven’t figured it out yet…I love Tofino.